Ernest Hemingway was a titan of twentieth century American literature. The winner of the Nobel Prize for Literature in 1954, he is also intrinsically linked with Cuba and the Cuban capital. He found that Havana allowed him to live the colourful life he wanted to lead, with Hemingway’s Havana focussing on his loves of fishing, food, and rum. The famously heavy drinker first moved to Cuba in the early 1940s, and would end up writing seven books on the island, including his most famous – For Whom the Bell Tolls, The Old Man and the Sea and A Moveable Feast. Although Hemingway considered himself an honorary Cuban, he left Havana for the last time in 1960, fearing the new Castro-led communist government would nationalise his home of Finca Vigia on the outskirts of the capital. Thus ended an almost three decade long association with the island. During his many years on the island Hemingway had become an important Cuban icon, alongside the likes of Fidel Castro and Ernesto Che Guevara. As a result, many of the places Hemingway spent his days remain as they were. From Finca Vigia and his room at the Hotel Ambos Mundos, to the restaurant of Las Terrazas and the bars of la Bodeguita del Medio, El Floridita, and Dos Hermanos, there is probably no better place to get to know one of the twentieth century’s greatest writers than in Havana. Now one of the most popular tourist attractions anywhere in Cuba, Hemingway’s home of Finca Vigia on the outskirts of Havana was expropriated by the Cuban government after the failed anti-communist counter-revolution at the Bay of Pigs in 1961 – a year after Hemingway left the capital for the last time. Although it fell into disrepair for many years, millions of dollars were spent returning it to its former glory. Turned into a museum, ‘Lookout Farm’ includes many of the author’s original furnishings, hunting trophies, and personal artefacts, including his beloved library of several thousand books. The back veranda offers spectacular views of downtown Havana 20 kilometres away, while the grounds also contain Hemingway’s fishing boat Pilar. Before renting and then buying Finca Vigia, Hemingway rented a small room at the Hotel Ambos Mundos in the capital – a room that remains exactly how he left it. Right in the heart of Old Havana, the peach coloured building should be including on any list of Hemingway’s Havana. Room 511 on the top floor of the five storey building became Hemingway’s first home in Cuba, where the writer stayed for seven years in the 1930s. Renting it for $1.50 per night, it was here that he began For Whom the Bell Tolls in 1939. Now a small museum, there are regular tours of the room, while the ground floor foyer also contains two walls of photographs of the hotel’s most famous resident. Birthplace of the rum-based mojito cocktail, La Bodeguita del Medio was patronised by several personalities including Hemingway. Said to have been in operation since 1942, the rooms of this authentic and traditional restaurant-bar are filled with unusual curios, photographs and signatures of its famous clientele. Look out for the framed inscription by Hemingway which reads ‘My mojito in La Bodeguita, my daiquiri in El Floridita’ while enjoying the typical Cuban menu of rice, black beans, pork, fried plantain, and of course its signature cocktail. Though Hemingway was never considered a regular at La Bodeguita by its first owner and founder Angel Martinez, the same cannot be said for the bar of El Floridita. Not only did Hemingway enjoy drinking daiquiris here, there is also evidence to suggest he contributed to its very invention, making it an important stop in Hemingway’s Havana. Containing white rum, maraschino (cherry) liqueur, grapefruit and lime juice, and sugar syrup, the Hemingway Daiquiri or Papa Doble really must be tried, and where better to do that than at its birthplace and Hemingway’s favourite Havana bar? You’ll find El Floridita close to Hotel Ambos Mundos on Calle Obispo (Bishops Street) and the National Museum of Fine Arts in Old Havana, making it the perfect place for a relaxing stop between museum visits. The bar of Dos Hermanos is undoubtedly one of the most beautiful bars in Hemingway’s Havana. Situated on the waterfront of Havana port close to the Sierra Maestra ferry terminal and the Havana Club rum museum, the elegantly furnished bar is a great place for a casual drink at any time of day. One of the oldest bars in Havana, the ‘Two Brothers’ has a classic Cuban interior of dark varnished wood panelling. There’s live music regularly, while a commemorative plaque confirms visits from Ernest Hemingway, as well as other notable people including Marlon Brando and Errol Flynn. Just a few kilometres from the heart of Hemingway’s Havana, Cojimar is a small fishing village where locals of a certain age can still remember Hemingway’s visits. It was Cojimar that was the first to erect a monument to the author after his suicide in 1961 at the age of 61. Legend has it that locals including Gregorio Fuentes, captain of Hemingway’s boat Pilar, gathered together pieces of metal from chains, anchors, and propellers to caste a bronze bust designed by Cuban sculptor Fernando Boada Martin. Mounted on a large slab of marble engraved with Hemingway’s name, it is surrounded by a circular colonnade in front of the ancient UNESCO listed fort of Torreón de Cojímar. While in Cojimar Hemingway could often be found hanging out with Gregorio Fuentes in Restaurant Las Terrazas. 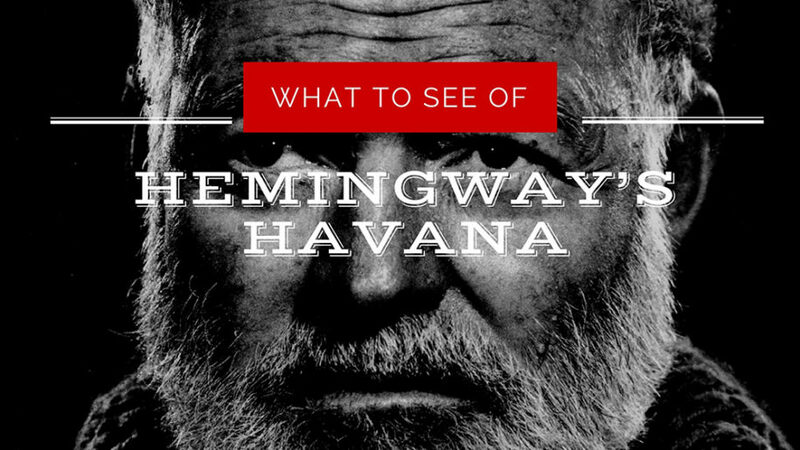 Covered in pictures of the author – with Gregorio (model for the fisherman in The Old Man and the Sea), and Fidel Castro among others – the restaurant is proud to be considered part of Hemingway’s Havana. Las Terrazas has fantastic views over Cojimar Bay, a favourite fishing spot for Hemingway, seen through large plate glass windows from the light and airy dining room. More atmospheric is the old bar out front, where it would be easy to imagine the famed author propping up the bar. The Cuban capital played a huge and influential role in the life and works of Ernest Hemingway. 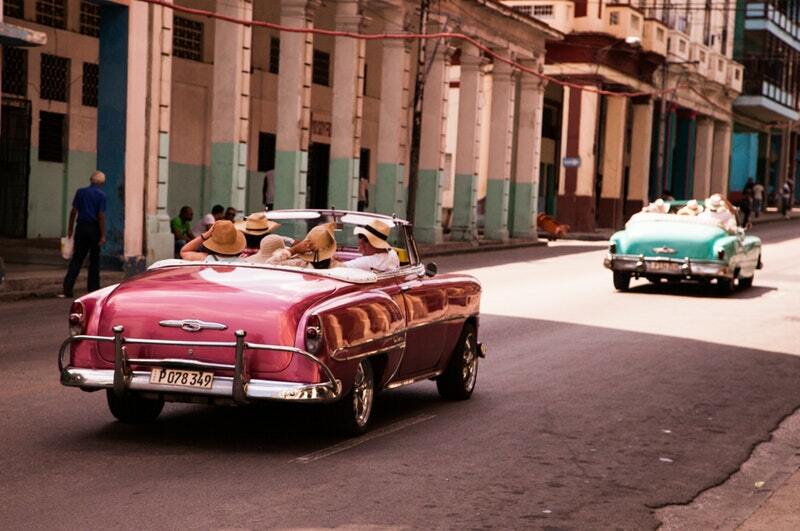 Thankfully, Hemingway’s Havana is still ripe for exploration, as we’ve hopefully convinced you!